Pu-Erh Vanilla came in a darling little branded tin. I love insects, I took an entomology course as part of my first degree, so I’ve always had a place in my heart for six-legged creatures. The dragonflies on this tin just make me smile. There’s a simple label on the tin with some hand-written details including the name of the tea and how long to steep the tea for. The back of the tin includes some more details that I can’t read. This tea was given to me for my birthday in 2015 from a friend who went to a jaunt around Europe! She came back with several teas for me to try, which definitely put a smile on my face. 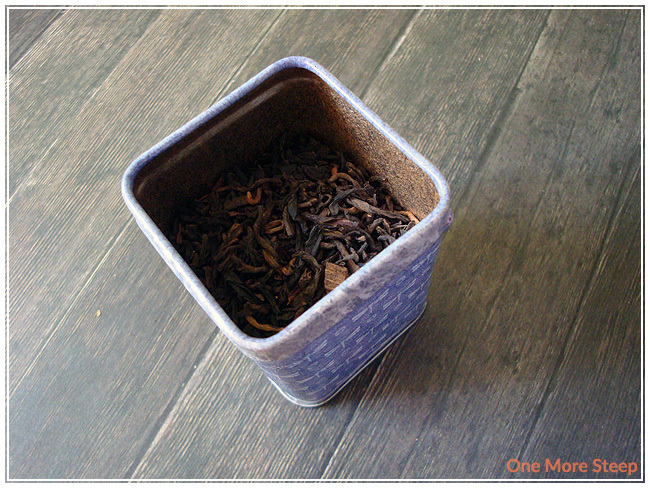 Pu-Erh Vanilla has a nice earthy, woody scent to it with vanilla overtones. It’s very pleasant and inviting, the vanilla reminds me almost of baking but the earthy notes to it reminds me of camping, which is a nice touch. I did manage to find the tea page on their website, which stated that this is a “red tea with vanilla scent”. According to the label from Tea Shop, this tea is to be infused for 3 minutes. There’s no temperature information, but I normally steep pu-erh teas in 96°C (204°F). 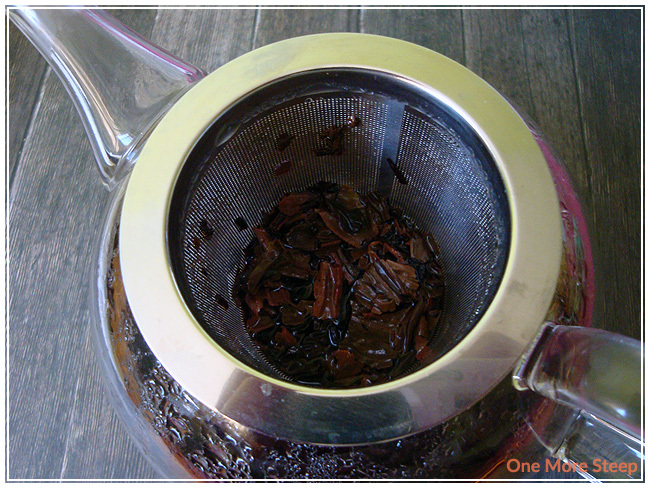 Pu-Erh Vanilla steeps to a rich reddish orange colour, and gets darker the longer you steep it for. The scent is incredibly inviting as it’s vanilla, it smells very strongly of vanilla. The taste is purely pu-erh though, with hints of vanilla flavouring. Because it’s mostly of the pu-erh base, the tea has a strong earthy taste to it, that isn’t unpleasant. It reminds me a lot of teas that I’ve had before in more traditional Chinese restaurants, which isn’t a bad thing. I think they used a fairly robust pu-erh base, which is why the vanilla has such a hard time standing up next to the pu-erh base/natural flavours. Steeping for three minutes did the trick here as the tea isn’t too dark as pu-erh teas can be when steeped for a long time. The flavour is good though, it tastes like a good quality pu-erh which is always well appreciated. I resteeped this about four times, and the flavour profile remains the same. Mostly the robust flavours of the pu-erh, some hints of vanilla, but mostly the pu-erh. 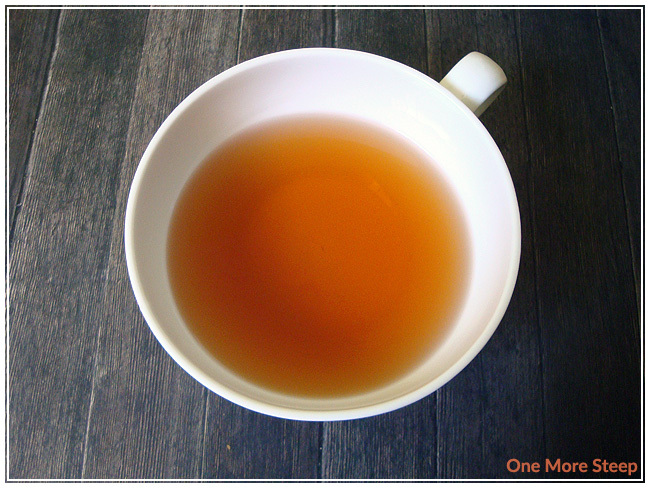 It holds up very well to repeat steepings. I liked Tea Shop of East West Company’s Pu-Erh Vanilla. I feel weird because I’m really only docking a cup because the vanilla isn’t more of a star in this tea. The pu-erh that they used is much too strong to be properly flavoured, so the vanilla is a bit muddled and not shining as much as I would have expected. The pu-erh itself is wonderful though, the flavour is strong and makes for many great cups of tea and it resteeps so well. 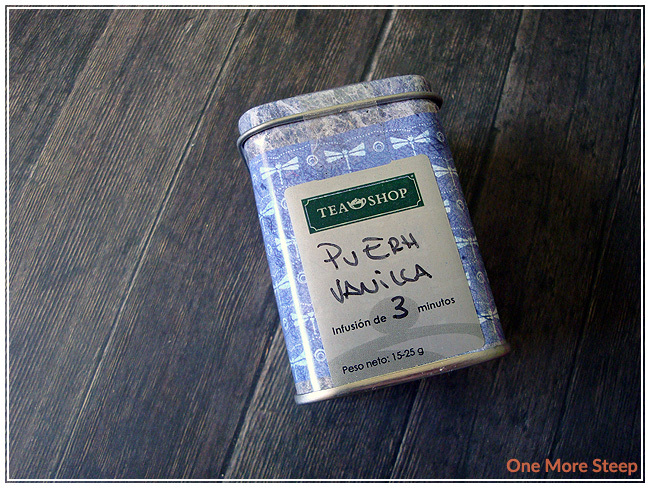 Because the vanilla was so present in the dry leaf, and in the ingredients and the name, I really do wish that it was more present in the steeped tea because it was so inviting. I’m not that torn up about it though, because I got many cups of tea and it’s good regardless of the lack of vanilla in the taste.